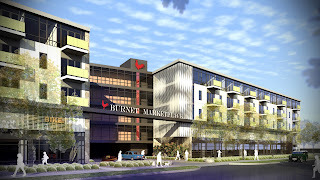 Burnet Marketplace; 6601 & 6701 Burnet Rd. The Farmer's Market between Burnet Road and Burnet Lane had been sold by Travis County to private developers a couple of years ago. 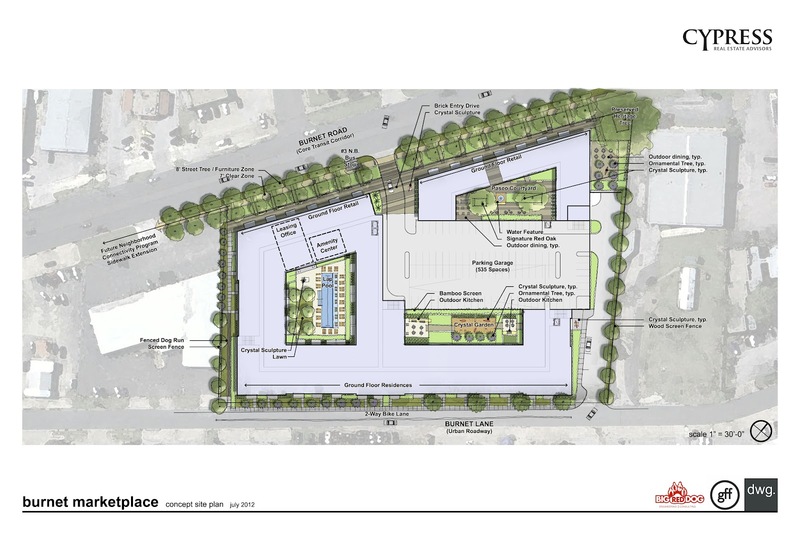 John Burnham, Managing Director of Cypress Real Estate Advisors (Apartment Development Group) recently sent this conceptual site plan and proposed renderings of their new project at this location. 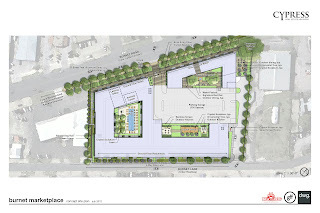 They are wanting to do a Vertical Mixed Use (VMU) project and have the necessary zoning in place. 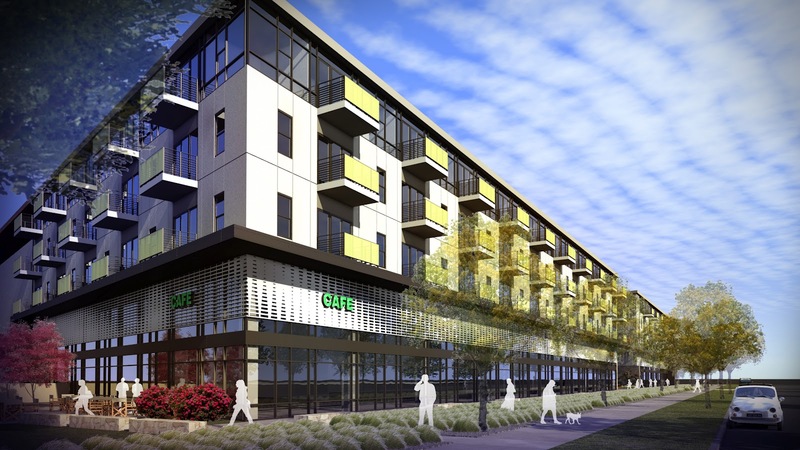 This project is slated for approximately 275-300 apartments with about 16,000 SF of retail. 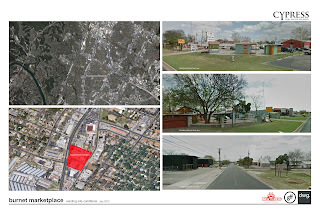 Cypress will be making a presentation to the Historical Landmark Commission on Monday, July 30th regarding removal of the existing buildings. Sadly, the county and subsequent owner had allowed them to fall into disrepair. 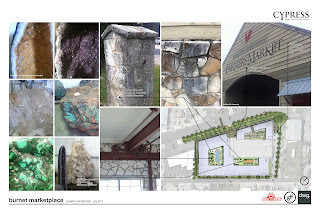 They will be retaining the protected "heritage" tree in the NW corner of the site and hope that their development will help to create a precedent for renewed attention to Burnet Lane (which has gotten increasingly derelict in recent years). Mr. Burnham wants to work closely with Brentwood, Allandale and Crestview to create a development that is an asset to our neighborhood. 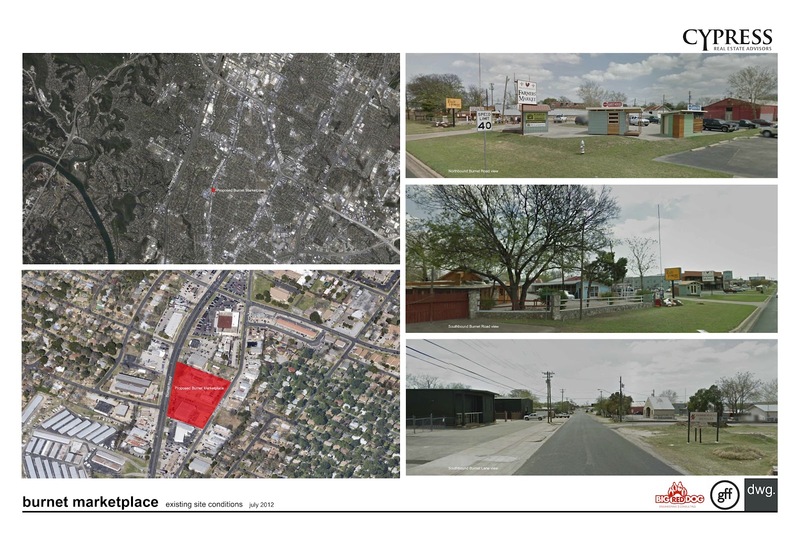 He is seeking input on pedestrian and biking improvements as well as a possible "on-demand" pedestrian crossing at Burnet Road to connect this development with the southbound Capital Metro Bus Line #3. He can be reached (512) 494-8510 or jburnham@cypress-advisors.com. The Brentwood Neighborhood Association may have Mr. Burnham make a presentation at an upcoming Steering Committee Meeting, so if you're interested in this project, keep an eye out for the agenda that might include this item.